As you may already know visual studio is going to be built using WPF, so there is great anticipation on how it will look like. Unfortunately the shell wasn’t ready at this year TechEd Europe. Yesterday though Jason Zanders (General Manager, Visual Studio, Developer Division) announced the new UI of Visual Studio. 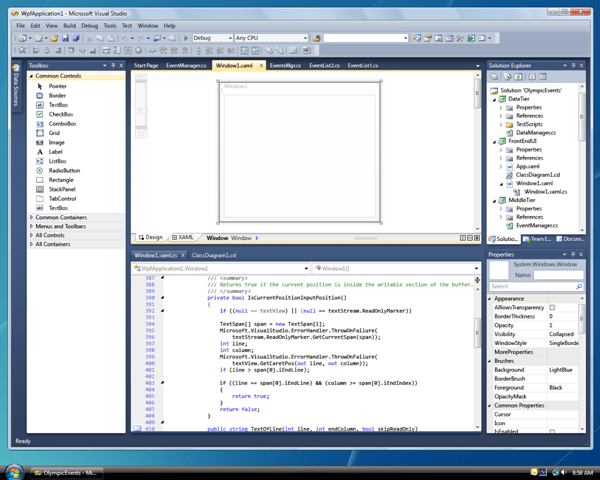 So if you’re qurius (like me) take a peak at the A New Look for Visual Studio 2010 blog post, I think you’ll find it interesting.